Kissing Fish – iris elsewhere. 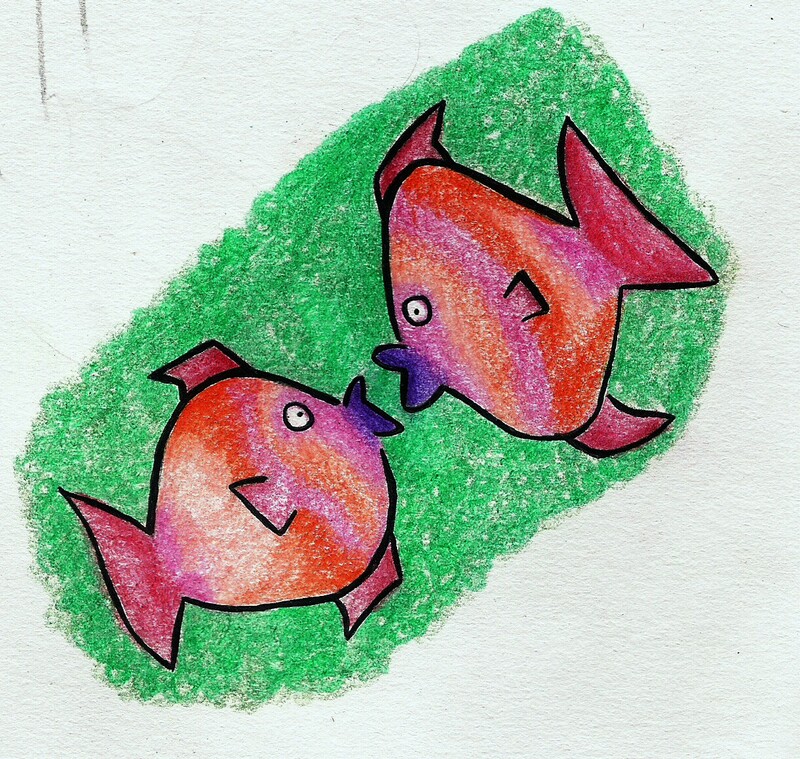 So apparently kissing fish are actually fighting but these kissing fish are kissing not fighting, this is why they are called kissing fish and not fighting fish thankyouverymuch. Also WHY will my scanner not scan colours correctly? They’re deeper in reality than in the above photo, but at least approximately the same; my scanner completely changes them! may be a kissing scanner would do ? Bravo, Iris ! HA! That would be awesome. Cute fish! It is weird that scanners do that. I’m in an illustrators forum in Facebook and we’ve had this conversation more than once there. Darn scanners are so fussy!